Your site needs to be easy to figure out … even when you’re not there to explain it. 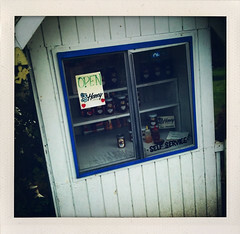 I recently returned from a vacation to Oregon and stopped (as has become a ritual, or at least a habit) to buy some local honey from an honor box on Route 99W in Dundee, Oregon. The amazing thing about this “store” is that: I know exactly what’s there and where to find it; I don’t need a salesperson to help me out; and the store owner trusts me to pay the right amount of money even while unattended. And … it works. The stand has very low overhead, I keep getting honey and (presumably) the economics of it work. Previous Post is your product line too complicated? Next Post What’s a Customer Experience Manager, and why do you need one? So what would you say that your site does?